A second beautiful day in a row! Sadly, some of our guests started heading home. Tim's family decided to make a little detour and soak in some sun, some sand, and some surf at the beach before they headed out. Most of us who did stay trekked in to Boston to soak up some history, some shopping, some cannolis (yum!) and (for Kiki & Steve) some baseball. This is the one gallery where I've put comments on quite a few individual photos, so you can enjoy Beantown with us! 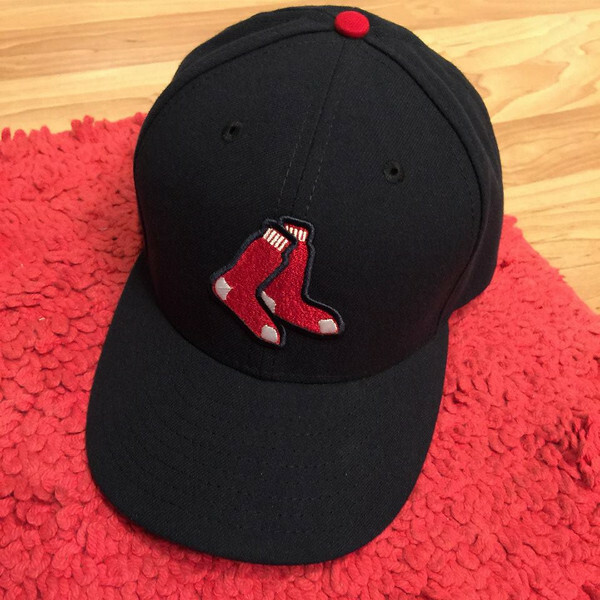 Ever since we started talking about a day trip to Boston, Logan declared he wanted a Red Sox cap. Once he got there, he decided he liked the stockings logo better than the official "B".